Dubbed as ‘liquid gold’ due to its golden colour, the luxurious elixir hails from the Berber tribes in Morocco whose women have sworn by its health and beauty benefits for many years. Containing 100% pure and organic Moroccan Argan Oil, the company was founded by British-Moroccan May Hamid who wanted to introduce the benefits of pure Argan oil to consumers across the globe. 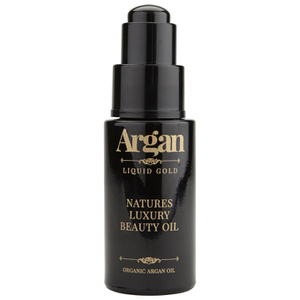 Unlike many other brands, Argan Liquid Gold is 100% pure, organic and natural. Free from harmful additives or toxic silicones, the oil is made from the finest quality ingredients – making it incredibly safe and suitable for all skin types. Bursting with a whole host of natural ingredients, Argan Oil has so many benefits for the hair and skin. From its ability to keep your skin super soft and smooth, to protecting collagen and fighting against free radicals. As well as providing benefits to the skin, Argan Liquid Gold is also a natural cure for damaged lifeless hair with its ability to transform dry, frizzy and brittle hair into stronger, glossier and healthier-looking hair. 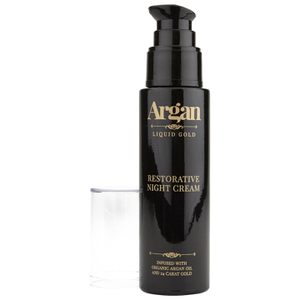 It’s time to love your hair and skin with the help of Argan Liquid Gold. Now available at Beauty Expert.